If my next door neighbor's yard looks like a junkyard with garbage and junk all over, can you get your assessment lowered? I am not going to be able to sell my house, because of the mess! Actually, yes you can. You use that property as a comparison. Take photos. If your assessment is based on Market Value (which it is) it definitely hurts the value. If that does not work, check with your local zoning officer about having it cleaned up. My town is no longer taking appointments for informal hearings. What can I do? The Assessor's Manual states under the Job of the Assessor: Informal meetings with assessors to resolve assessment questions about the next assessment roll can take place throughout the year.
" While the Assessor’s manual talks about informals and the benefits of them, they still are up to the individual Assessor. In May, they cannot deny you access, but any other time of the year, it really is up to them". See Resources - Find your town assessor. It is up to individual property owners to monitor your own assessments. Taxpayers who feel they are not being fairly assessed should meet with their assessor before the tentative assessment roll is established. In an informal setting, the assessor can explain how the assessment was determined and the rationale behind it. Taxpayers unhappy with rising property tax bills should be concerned not only with assessments. but should also examine the budgets and expenditures in their counties, cities, towns, villages, school districts, etc. that are creating the need for higher taxes, and address those issues in appropriate and available public forums. Informal meetings with assessors to resolve assessment questions about the next assessment roll can take place throughout the year. If, after speaking with your assessor, you still feel you are unfairly assessed, the booklet, “Contesting Your Assessment in New York State” describes how to prepare and file a complaint with the Board of Assessment Review for an assessment reduction, and indicates the time of year it can be done. We are considering installing a geothermal unit. Would this be considered an improvement and raise our assessed value and therefore our property taxes or is this considered more of a repair /replacement as if you were to replace a furnace? One assessor we asked replied: "The question of adding value for this is determined by each assessor. I would select geo-thermal as the heat source in the property inventory, but not add additional value for it." Each county, city, town, village and school district (except the city school districts of New York, Buffalo, Rochester, Syracuse, and Yonkers) may choose whether to disallow the exemption with respect to solar, wind, or farm waste energy systems, that began construction after January 1, 1991 and before January 1, 2025, and to micro-hydroelectric energy systems, fuel cell electric generating systems, micro-combined heat and power generating equipment systems, or electric energy storage equipment and electric energy storage systems constructed after January 1, 2018 or the effective date of the local law or resolution, whichever is later.The option must be exercised by counties, cities, towns, and villages through adoption of a local law and by school districts by adoption of a resolution. You must first check with your local assessor to see if the municipality allows such exemptions. The assessor can then let you know the procedure for that particular jurisdiction. There may be no additional assessment to the property and it will be added as an additional heat source. You may also be asked to enter into a contract of payment in lieu of taxes. This is explained in Form RP-487, Exemption Application. You can also download this booklet on solar, farm waste and wind systems definitions and guidelines for purposes of this exemption from the New York State Energy Research and Development Authority. 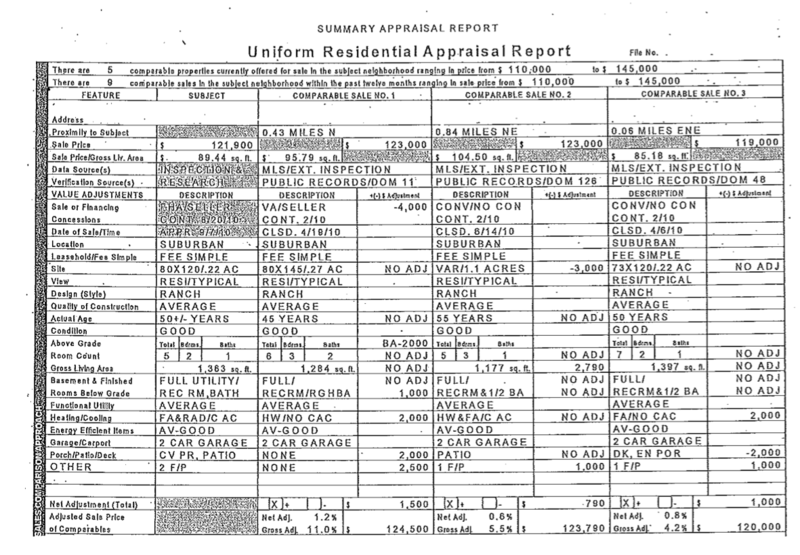 What information are assessors required to share with property owner’s involved in a property assessment dispute. I understand that the “burden of proof” rests with the property owner, but knowing what is required of the assessor would certainly help taxpayers to “level the playing field” when contesting an assessment. According to The Job of the Assessor Fair assessments - a guide for property owner, see below, the assessor must be able to provide you with the information upon which the assessment was made. How should a new construction with no windows, septic ,heat or water assessed? It would be done by a percentage of what the entire value would be when completed. The percentage would be taken from the amount completed by the evaluation date of the town or city. How do I find comparables for a house that is unfinished? A new house is assessed by the percentage of whatever is completed by the evaluation date. The best way to find comparables for an unfinished home is to find properties that would be the same type and size of what your property would be when finished. Once found, figure the percentage of what the property is finished and then take that percentage of the comparison properties. (If your property is 50% completed at the time of evaluation, see what the comparable property would be at 50%). The land value is another issue. We are hearing that people are being assessed for what land "could be" and not for what "it is". In most areas you would need a minimum of 10 acres and show an income of about $20,000 for land to get an Agricultural Exemption. If the mountain side can not be used for anything, you can argue that it should be "wasteland or woodland" depending on what the land is. Do I have to compare my property to all other properties on the same assessment roll to prove Unequal Assessment? In the case of one, two or three family residential real property, you also have the option of proving that the percentage of full value represented by your assessment is higher than the average percentage at which other residential properties are assessed on the same assessment roll. Once you have established the average percentage at which other residential properties are assessed, you must apply this percentage to the value of your property. If the result is lower than your assessment, you may request that your assessment be reduced to that lower amount. A percentage established by the State Board of Real Property Services according to law, using the ratio of assessed value to the sales price for each usable residential sale in a recent one-year period. Ratios are then listed from highest to lowest; the midpoint (median) ratio is selected as the RAR. The RAR can be used to prove that a residential property is assessed at a higher level than other homes on the assessment roll. Your locality's RAR indicates at what percent of full value residential properties are assessed. For example, a RAR of 20 indicates that residential properties are assessed at approximately 20 percent of their full value. Can I estimate the Market Value of my property without getting an expensive appraisal? Yes. The New York State Department of Taxation & Finance and the Office of Real Property Tax Services has a recommended approach a property owner can use to estimate their property's Market Value. My city, town or village is at 100% of Market Value. Can I still claim Unequal Assessment? Yes. The option given on the Real Property Tax Form RP-524Instructions, Part 3, A (last paragraph) does not deny a taxpayer from claiming Unequal Assessment at any percentage of market value. Market value is the most probable price that a property should bring in a competitive and open market under all conditions requisite to a fair sale, the buyer and seller, each acting prudently, knowledgeably and assuming the price is not affected by undue stimulus. International Valuation Standards defines market value as "the estimated amount for which a property should exchange on the date of valuation between a willing buyer and a willing seller in an "arm's-length" transaction after proper marketing wherein the parties had each acted knowledgeably, prudently, and without compulsion." What is a uniform percentage of value? In communities assessing property at 100 percent of market value, your assessment should equal roughly the price for which you could sell your property. In communities assessing at a percentage of market value, the estimated market value of each property is listed on the tentative assessment roll. Am I elgible for Enhanced Star if my spouse or I own another property that is either receiving a STAR exemption in New York State or a residency-based tax benefit in another state, such as the Florida Homestead exemption? NO. You do not qualify for the Enhanced STAR exemption on a NYS property. Why are we penalized for taking care of our property? How does the Tax Cap work? According to NYS,the tax cap law establishes a limit on the annual growth of property taxes levied by local governments and school districts to two percent or the rate of inflation, whichever is less. The tax cap does not apply to computations of assessments and did not do anything to reduce already high NYS property taxes. It is directed more towards limiting or keeping in check the amounts that schools and local governments levy for their budgets. Do the changes in the STAR program made in 2016 impact me? The New York State Department of Taxation and Finance alerted new homeowners—and those who recently purchased their homes—to a change in the School Tax Relief (STAR) program. These homeowners—including all who purchased their primary residence after August 1, 2015—must register for STAR with New York State instead of applying with their assessor. Property owners who bought their home before May 1, 2014, will continue to receive the STAR exemption and don’t need to take any action. Should I use an appraisal when challenging my assessment? You can do your own appraisal and it is recommended by New York State Department of Taxation & Finance and the Office of Real Property Tax Services. Appraisals are more an art than a science. They are one appraiser’s opinion. Anyone may become an appraiser in NYS. Supplying an appraisal is something you will commonly hear when questioning your assessment. Most of the time it is good to use an appraisal, but not always. If you are using the argument of unequal assessment, your appraisal in certain instances can hurt more than help because a realtor could value or price your house at the highest possible amount for sale purposes. With all the inequities in the current system you may find comparable houses that will allow you to argue a case that is lower than your appraisal. If you find this to be the case, simply do not offer the appraisal to the Board of Assessment Review as evidence because the Board will have a hard time lowering your assessment below that appraisal. The reasoning for this is the Board is trying to weigh the evidence. They have the assessor’s information (who is always assumed to be correct) at a higher assessment, your appraisal, which may be lower than the assessor’s but also higher than what you are asking. In this scenario, the evidence works against you. I live in a HOA community and our dues pay for Street lights, Paving the street, Plowing, The town of Greece does not do anything so why are our taxes so high. 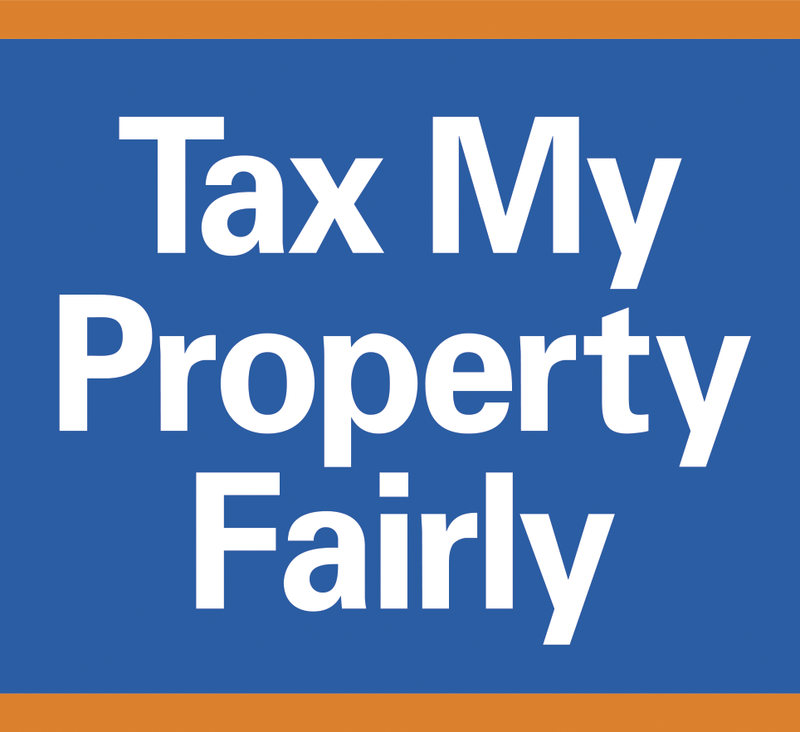 Real property tax is not a user fee. It’s an ad valorem tax, which is based on the market value of the property. There’s no mechanism in the statute for a municipality to adjust that value or the tax rate based on services provided. Municipalities do have the option to create special benefit districts that tax only the parcels receiving the benefit. Examples might include lighting, sewer, or water districts. These these districts are specifically defined either in General Municipal Law or Town Law; however, we are not aware of the existence of special benefit districts for things like paving, plowing, or other maintenance. That’s sometingto ask your town attorney. How do I make a successful case that maintenance should not be assessed? Maintenance and depreciation are areas that many assessors do not take into account. You can make a great case when challenging your assessment if you use these two factors in your comparisons. Depreciation. Often overlooked and not taken into consideration by assessors. Every day what we have depreciates in value. We buy a car, it loses value as soon as we drive it off the parking lot. It is the same with our homes. Are your roof or windows as good as they were fifteen years ago? Not a chance! So why are you paying a premium price on them with your assessments? Your assessment doesn't go down from year to year as your home gets older. Yet when you replace your roof or windows the first thing you see are higher assessments. Maintenance. Very often when you need to re-shingle your roof or replace a rotted window your assessment goes up. Repairing items such as replacing a roof, changing out old windows for the same size new windows or replacing a rotten deck with new boards should not be assessable. It should be considered maintenance. You are not adding on or improving your property. You are only taking care of that which you are already being assessed. What is an "arm's-length transaction and why is this important? Simply put, an "Arm's-length Transaction" is when a property is put up for sale on the open market through a realtor and all prospective buyers have an equal chance to buy the property. A "Non Arms-length Transaction" would be one that may be sold from family member to family member or other person where the property is not put on the open market and may be sold at a lower or even higher price. Once a property value is determined, its total assessment is calculated by multiplying the market value by the uniform percentage for the municipality, also known as the Equalization Rate. An equalization rate is New York State's measure of a municipality's level of assessment (LOA). The Equalization Rate is derived from the percentage of the Assessed Value of a town to the Market Value of a town. Who determines the Total Market Value of a Town? In most cases it is the assessor. The first step in assessing the total market value of a town is to determine (or estimate) a market value for each property. To estimate market values, the assessor must be familiar with the local real estate market. Why do towns keep updating the assessments? Updates are needed to maintain the Equalization Rates at 100%. Equalization rates are the state’s measure of each municipality’s Level of Assessment (LOA). Each local assessor is required to state the municipal's LOA on each year’s assessment roll. The state then determines the equalization rate by analyzing the locally stated LOA. In accordance with national standards, the Office of Real Property Tax Services (ORPTS) will review the work of the assessor and determine whether the stated LOA is within adequate tolerances to be used as the equalization rate. If certain criteria are met, the LOA will then become the rate. In municipalities where ORPTS cannot accept or confirm the LOA, ORPTS will use its own independent estimate of total market value to compare to the total assessed value. A falling equalization rate means that market values are rising faster than assessed values. Keeping assessments up-to-date annually can result in consistent equalization rates each year. If I vote against higher school taxes will my home value go down? No. Higher school taxes and home values have nothing in common. The 2% tax cap was implemented to help curb school spending. It is interesting to note that while school budgets continue to go up, enrollments have gone down in many districts. What is driving school and property tax increases? Several things including the unwillingness of towns and school districts to tighten budgets. The exemptions for the Real Property. People leaving because of high taxes. With more people leaving the state fewer remain to pay taxes to support municipal and school budgets. In a tax system with so many regulations and flaws, someone has to make up the difference. For example the Agricultural Exemption was originally intended to help farmers by keeping costs of farming low. This is great for farmers who farm their own land. However the beneficiaries of this exemption are the homeowners who do not farm but rent their farmland to other farmers. The homeowner still reaps the huge deduction of taxes from the Agricultural Exemption (usually between 40-50% of assessed value) and then charges the farmer between $50.00 and $100.00 per acre to farm it. Just think how this makes apartment owners or the rest of us feel when we get charged for income property and these homeowners get pure profit. We all have to make up for this loss. How do I know if I qualify for exemptions? How many exemptions are there? For most people they will only qualify for only a few exemptions such as STAR, Enhanced STAR, Veterans, Cold War Veterans, Disabled and Agricultural exemptions. However, there are more than 527 ways that exemptions for homeowners, villages or towns. Always ask your assessor if you qualify for any exemptions or review the complete list here. No. Assessments can only go up if you add onto, remodel or improve something on your property. Most property assessments do not change unless there is an update in their town or village assessment. Can I get better results challenging my assessment if I use a consultant and or lawyer? One of the reasons we created this web site was to help people find information to understand their taxes and learn how to challenge an unfair assessment without having to incur the expense of hiring a consultant or lawyer. If they are correctly informed a consultant or lawyer can be helpful. The most common time when a consultant or lawyer is used is for businesses. If you do have a lawyer or consultant represent you, if possible, always go before the Board of Assessment Review with them. You may be able to answer questions they cannot. What is the Agricultural Exemption? And how does it impact upstate NY? If my house is destroyed or significantly damaged after I pay my taxes, will I get a refund? The answer is no. Basically, anything that happens to your home after March 1st won’t be recorded assessment wise until the next year’s assessment roll. So if on August 2nd your house burned down, since the assessment roll was already filed, whatever your assessment was on that roll is what you will pay taxes on until the NEW assessment roll is filed. Assessments are one half of the equation and they happen to be the half that involves the houses themselves. So once the assessment roll is filed all taxes are based on that roll and there is no changing them. The only time a taxpayer would get a refund is if the assessor made a mistake on an exemption or had some sort of court ordered/legal change. Are new homes assessed differently? If the construction of a residence or building begins before the "Taxable Status Date" (March 1st)* only the percentage of the residence or building completed by this date is assessed. The percentage that is completed after the "Taxable Status Date" will be assessed on the next taxable year. * The "Taxable Status Date" can be different from community to community. Always check with your local assessor for the date in your community. Why do Condominiums owners pay lower real estate taxes with same market values as residential home? My primary residence is out of state. Can I vote in my town on my property taxes? This is possible in many states, but currently not in New York State. It is not fair that you have to pay property taxes on land you own in a state and not have a say. You should be able to vote on the local school, town or village budgets that are in the jurisdiction that you pay taxes. Only a change of law will correct this major flaw in the Real Property Tax System. This article published in the NCSL (National Conference of State Legislatures) that tries to answer this question.